Duckett’s Grove is the place to be today! It's a fabulous day here in Duckett's Grove, clear blue sunny skies definitely put everyone in a good humour! 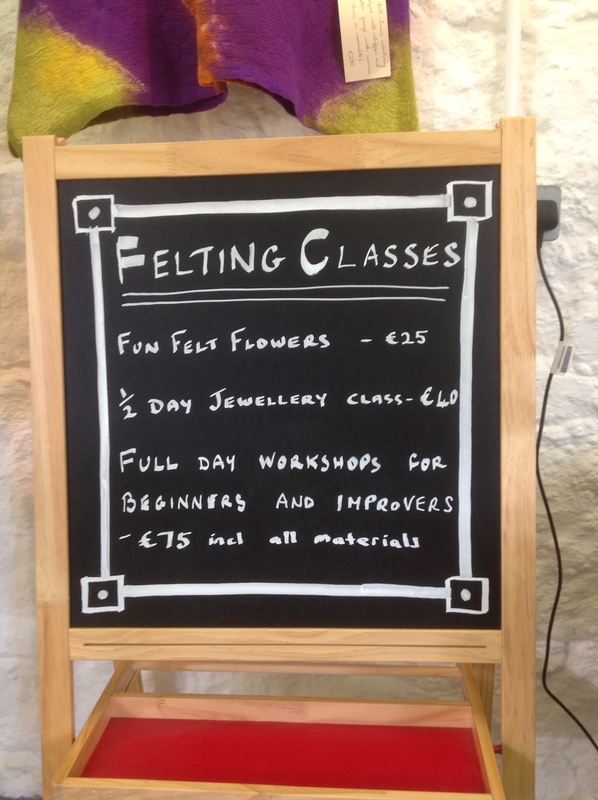 I spent the earlier part of the morning finishing the reorganisation of my studio and writing up some blackboards with updated workshop information, now I've just finished emailing off details to the manager for the new Duckett's Grove website, this should go live sometime early next week. As a result I was horrified to realise that my 'About' page here on the blog was totally out of date, whoops. I've now rewritten it, it's far from perfect (I want to add in exhibitions etc.) but at least it's more current that what was previously there. Feel free to have a look and please let me know if you see any glaringly obvious mistakes. 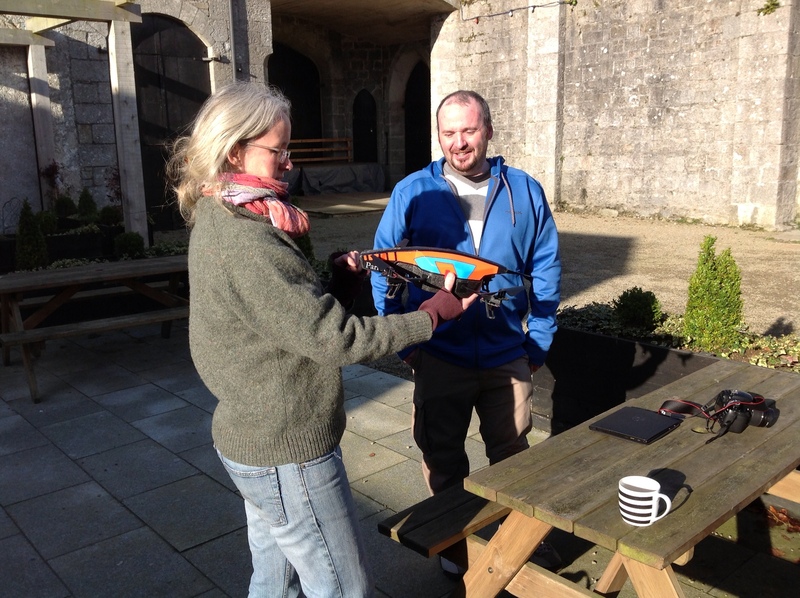 At lunchtime Emma and I headed outside to have look at a wonderful miniature remote controlled helicopter camera. The owner was very nice and gave us a few demos of how it worked, he's been taking arial shots over the ruins this afternoon, fascinating stuff! Stupidly I didn't ask his name but did give him my business card and ask him to post some of the video footage to our courtyard Facebook page, I'm really looking forward to seeing a different view of the buildings and surrounds. This entry was posted in Duckett's Grove and tagged Duc, Duckett's Grove, Studio by Nicola. Bookmark the permalink.